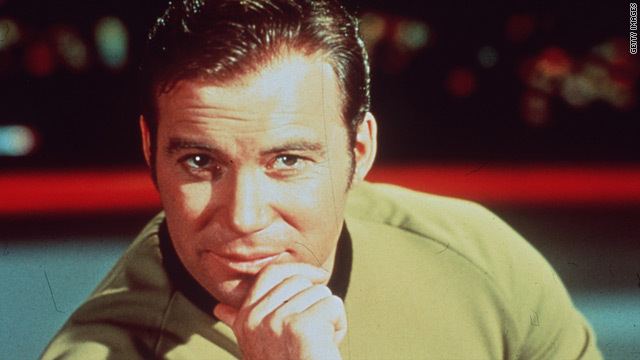 Captain's Log: No sign of a "'Star Trek" universal communicator in the near future. (CNN) -- Last month, Google unveiled its latest innovation, an app for phones that can near-simultaneously translate speech from one language to another. "Google Conversation," so far only available to translate between Spanish and English, generated excited headlines speculating that a true universal translator -- an idea popularized by "Star Trek" -- might be just around the corner. It's easy to get swept up by the buzz. Google's current text-based "Translate" online software is as good as it's ever been, allowing users to get reasonably faithful translations between scores of languages. The company is also adapting its "Google Goggles" picture recognition software to allow phone users to translate signs. Recently it said it was looking at taking the quantum leap into translating poetry. Google Product Manager Awaneesh Verma admitted when launching "Translate" that the device was "still in its earliest stages," and early demos have shown it to be a little shaky at performing its task. Nevertheless, the potential is obvious. If the technology improves we could all soon be roaming the world as polyglots, freely conversing in any language and dialect. Sadly, say experts in the field, we could be waiting some time -- a fact that becomes painfully clear when looking at the history of computerized translation. Sometimes (online translators) will produce astonishingly good results and sometimes stuff that just makes you cringe. Ever since the birth of modern computing, programmers have wanted to turn their machines into language processors. In 1954, IBM announced its breakthrough 701 "electronic brain" had successfully translated Russian into English. The announcement led to bold claims about the imminence of computer-aided translation. Leon Dostert, a professor involved in the experiment, predicted seamless translation between several languages would be an "accomplished fact" within "five, perhaps three years." But as linguists pumped translation rules into databases, computers struggled, repeatedly stumbling over the quirks of individual tongues to produced mangled sentences. According to Phil Blunsom, a computational linguistics expert at Oxford University, the great leap forward came 40 years later when programmers realized linguistics were holding them back. "From about 1990, a group in the U.S. came up with the idea of just treating it as a statistical problem -- more of a machine learning problem where you essentially ignore linguistics and just look for patterns in data," he said. The Rosetta Stone for these programmers was initially provided by Canada's parliament, which published proceedings online in French and English, allowing computers to compare identical texts in two different languages. As web content has expanded, computers have drawn on other bilingual sources, including the European Parliament and news sites publishing in multiple languages. However, while they now translate news and political documents well, they struggle with more nuanced texts. Says Blunsom, the technology currently available online is the result of research 10 years ago, a tantalizing revelation that hints faster, more intelligent translators are on their way. Google, to which Blunsom's work is closely connected, is internally testing a new statistical system that is refined to near-perfection by linguistic rules, he says. But there's a catch. "The main problem is they're slow and computationally intensive, which is why we're not seeing them on the web," Blunsom said. "If you went to Google and said 'translate this page' and they got back to you a couple of hours later, you wouldn't be happy." And far from representing a bold step forward, "Google Conversation," says Blunsom, is largely a gimmick that represents Google trying to get maximum use out of its existing kit. "They have their speech recognition system, and they have their Android O.S. [operating system] and they're trying every combination to get value for their product. "All these things are simply plugging together the products they've developed. The problem is, every one of these systems has errors, so you get a cascade. If you think one translation is not very good quality, when you put a speech system at either end, it gets worse." Blunsom says that rather than focusing on apps like "Conversation," current research is aimed at speeding up and improving text-based translators and bringing lesser-used languages up to the same speed. "There's still a long way to go," he said. This admission is no surprise to linguists, who see myriad stumbling blocks on the road to a computerized universal translator. "The main difficulties are coping with the speed of natural speech; coping with regional accent variation; coping with low-frequency words, especially proper names; and eliminating interference from background noise," said David Crystal Honorary Professor of Linguistics at the University of Wales, Bangor. "No system can do this at present." Likewise, professional translators view Google's work with considerable skepticism. "Computer translation is getting better all the time but it is still hit and miss," said Rory Mulholland, a Paris correspondent for Agence France-Presse and translator of several novels from French into English. "Sometimes it will produce astonishingly good results and sometimes stuff that just makes you cringe. I think it will never replace humans." Mulholland cites an abortive attempt by a French newspaper to let machines loose on creating English versions of its pages, replete with mangled headlines. "Any companies looking to cut costs by dispensing with human translators should look, for example, at the French paper La Tribune. It decided to have its articles automatically translated and ended up very red-faced."